So you have put in a lot of hard work and taken the first steps for growing a beard. No matter how good looking you (and your beard) may be, you still need regular beard grooming and styling since, without the right beard styling tips, you will end up looking like a wino. In today’s beard styling guide, I am going to talk about tips, tools and easy professional beard styles you will love. When you first start growing a beard, you simply need to stop shaving. Do not touch the razor or trimmer for up to four weeks. If you are looking for a professional beard style, seek the help of a barber to create an initial style. 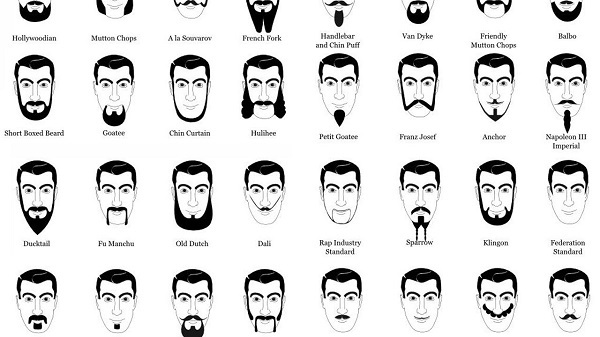 I will be discussing some popular beard styles later in this guide which are much in vogue. If your face is very itchy in the initial period, simply keep washing and conditioning the beard with the right products and tools. Do not forget to use beard oils and beard balms. 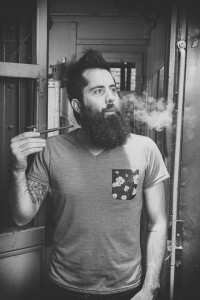 You can find many awesome beard balm and beard oil recipes on this site. Trimming the beard from time to time, with the right tools, either scissors or a beard trimmer or both is important. Invest in a good quality trimmer having an adjustable trimming guide. 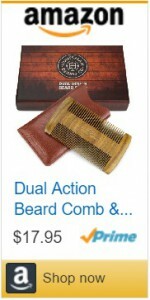 These help close crop around the neck and keep the neck line of the beard well maintained. Never trim the beard when it is wet because, when wet, not only is your hair heavier, it is also slightly longer. Upon drying, you might find you have trimmed too much. Always comb down the hair first before trimming. Comb through the hair and trim the extra hair that remains outside the comb. This will take practice but once you perfect this technique, you will be assured of an even and perfect trim each time. Always start trimming the border of the beard before you move into the internal areas. For square or round beards use a trimmer. Adjust the trimmer to a length you are comfortable with before going for a shorter trim. Make sure you maintain consistent length. Trim or cut off longer lengths with scissors at the end. When you start, always err on the side of caution. Master the tools and techniques before taking risks. As stated, start by keeping the adjustable beard guide to longer lengths first. Impatience can lead months of effort going to waste. It is important to maintain balance and symmetry on both sides of the face. So, start from the ear on the left side and trim the hair neatly before moving on to repeat on the right side. 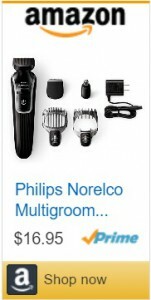 Use the adjustable trimmer guide to remove miscellaneous hairs and then carefully use wet razor for detailing. You can use a beard balm or a styling wax to pat your moustache into shape. First, smooth the wax between the fingers to melt it. Then pat it down on the hair and give the desired shape. A beard conditioner helps soften dry an frizzy hair. You can use it post shampooing or use a leave-in conditioner made with essential oils. Beard conditioning helps reduce dandruff and other issues. Massage the beard to reduce flyaway or stray hairs. Regular massage at bedtime can prevent many skin and hair problems and also improve blood circulation. Always trim the hair on the neck. You can use a trimmer to close crop hair there or carefully shave the portion of hair on the neck. If you have a round face, avoid keeping sideburns or full beard which increases the roundness. If on the other hand you have a thin and long face then you’d do well with either sideburns or a full beard. Men with round faces do well with a goatee which helps add more length to your face. When it comes to picking beard styles, note that you grow what you have. This means that your genes will also help you decide the kind of style to keep. If you are blessed with a full thick moustache, you can go for styles like Anchor, Balbo, Imperial or Friendly mutton chops. If your cheeks are sparse or patchy then you’d do better with a goatee. If you are unable to decide, I recommend the full beard which never goes out of style! Take a look at magazines or online (Pinterest is not just for women you know!). You can even ‘Google’ your favorite stars and see their beard styles. I personally love Tony Stark aka Robert Downey Jr. who has kept many different beard styles. For a few days after you have decided to keep a beard, keep an eye out for beards on TV in the movies or even on the streets. You are sure to find a man or two sporting a great style. To make things easier, I will enlist different beard styles and also leave you with an image of professional beard styles which are very much in vogue today. Comment below which style you picked! My husband has just recently started growing out his beard. We’re looking at different styles he can possibly try. As you said, it might be best to consult a barber in order to pick the most face-flattering style. I did not realize how much care goes into beards! We will also have to find some care products to make sure my husband can keep his beard in top shape!